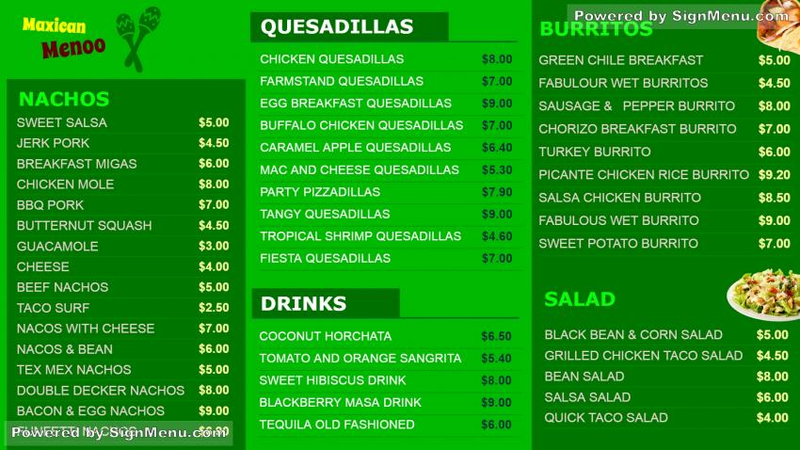 the horizontal template depicts a Mexican restaurant which offers the most delectable Mexican cuisine for everyone. Special offerings in the items of chicken, beef, pork, taco. also on offer are Cocktails. Likewise, you can also showcase your restaurant menu on a digital signage. Powerful visuals are sure to entice customers into your restaurant.